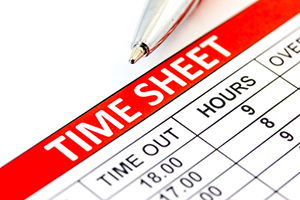 In the final quarter of last year, many employers began frantic preparations in anticipation of a new DOL Overtime Rule that was to take effect December 1, 2016. This rule was to have raised the overtime salary-test exemption threshold from $23,600 to $46,476, meaning that along with meeting a duties test, in order for an employee to be exempt from overtime pay, that employee would have to earn over that minimum salary amount. In response to the Obama DOL’s rule, several states and business organization filed lawsuits challenging the DOL’s rulemaking authority. Those cases were consolidated into one case in the U.S. District Court for the Eastern District of Texas where the judge issued an injunction that halted the implementation of the new rule. That injunction was then appealed by the DOL to the Fifth Circuit Court of Appeals. On August 31, 2017, ruling on a summary judgment motion filed by the plaintiffs, the Eastern District of Texas determined that the DOL exceeded its rulemaking authority by issuing the overtime rule. As a result the DOL dismissed its Fifth Circuit appeal on September 5th. While the resolution of this litigation puts an end to the Obama DOL’s salary-test rule, a change to the salary-test is still forthcoming. In July, the Trump Administration’s DOL has issued a Request for Information seeking comments from the public concerning the FLSA overtime salary-test; these comments must be submitted by September 25, 2017. Statements from the current Secretary of Labor, Alexander Acosta, indicate that that the Trump DOL will probably set the annual salary level in the $34,000 to $36,000 range. At this time, there is no way to know exactly when the new salary-test will take effect, but given the complexity of the FLSA, it is always a good time to review compliance and begin necessary preparations for a salary-test increase.